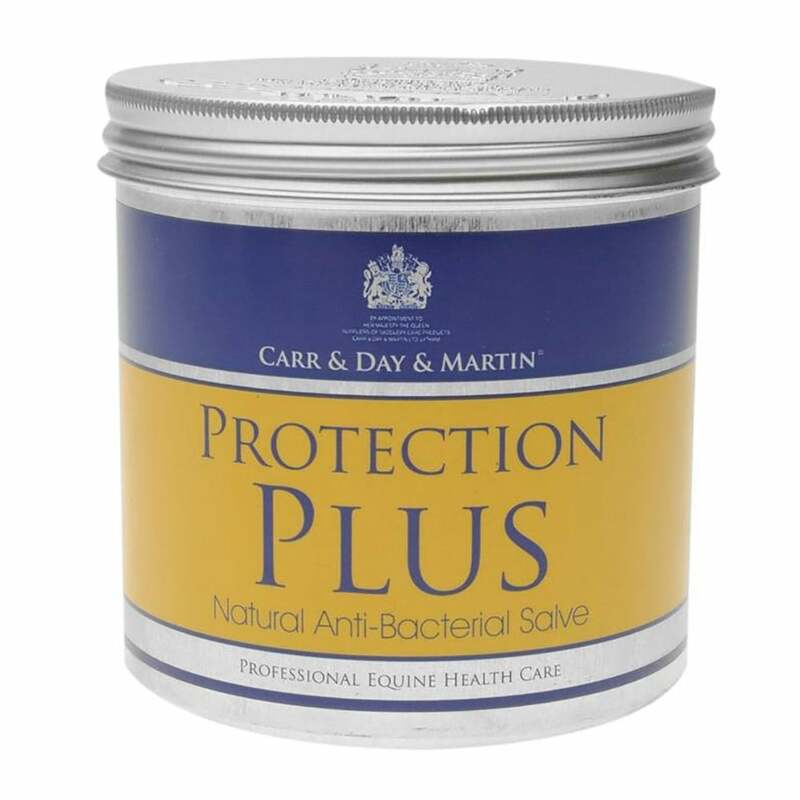 Carr & Day & Martin Protection Plus is a thick pink salve that's anti-bacterial and creates a waterproof barrier on the skin. Protection Plus is ideal for creating a barrier to wet and muddy conditions and can therefore be used in the fight against mud fever, it's also a useful protective barrier for minor skin irritations, cuts and grazes. Carr & Day & Martin Protection Plus contains an anti-bacterial agent, natural citronella oil and petroleum jelly. Always apply Protection Plus on clean skin (ideally wash with Gallop Medicated Shampoo first), apply liberally and re-apply as required. Always apply before exposure to wet and muddy conditions so that a waterproof barrier can be formed.